Touch Toggles in a typical control panel. Touch Toggles are attached with adhesive tape to the back of a graphic design printed with a desktop inkjet printer, and mounted in an off-the-shelf picture frame. Lights in each Touch Toggle shine on the paper from behind, making bright dots that show each toggle’s position,. The dots also serve as an easy to see target showing where to touch each control. Click here to see a typical installation. Touch Toggle Sensors let you create dependable touch-screen control panels with just scissors and tape. When mounted behind a translucent surface (paper behind glass, plastic, etc.) the glowing light from the Touch Control indicates both the touchable location and the control operation. Toggle Toggles alternate from on to off with each touch (touch on, touch off); the same behavior as a toggle or light switch. Toggle Controls come with either one indicator light or two, with a red/green color change showing when the switch is thrown. The One Light version has a single color changing red/green center indicator light. The Two Light version has separate indicator lights, 3/8” apart that indicate with position as well as color; only one light is lit at a time. 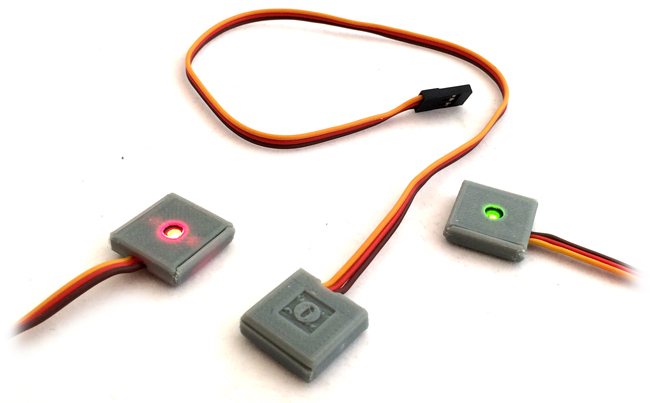 Two Light versions are availabe with two options: Red and Green lights for the most clear difference in indication, or Green and Green lights for situations for simple route indication or where no red lights are desired. Choose the style that best suits your needs. Our Momentary Touch controls have a single yellow center indicator light and Momentary action. This works like a push button switch or door-bell button: touch for on, remove touch for off . These are ideal for accessories or devices that only need to work only while the control is touched. Each Touch Control is just less than 3/4″ square (the size of a keyboard key), and may be installed touching any adjacent controls. Touch Toggles are designed to plug into our Control Bases to operate different types of equipment. Our Direct Bases can power stall motor or reversing type turnout machines, power small 12v circuits, or operate our Relay Base used to switch large loads. Our Servo Control Base operates radio-control type servo motors to control turnouts or other animations. For a simple fascia mounted Touch Toggle, take a look at our new Mini-Cup Toggles! 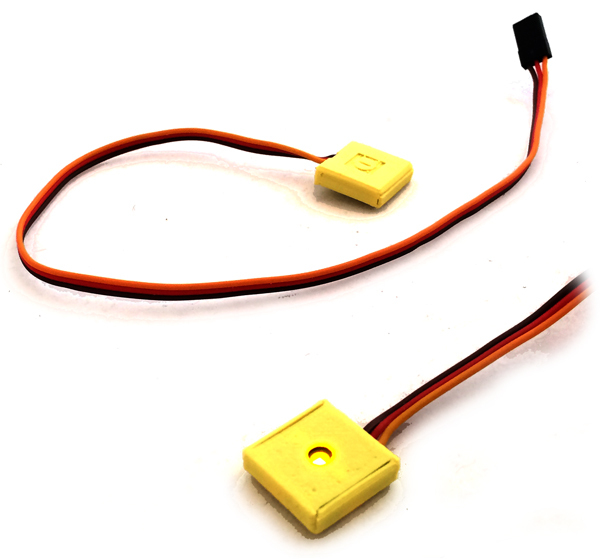 Note: Please order Touch Triggers if you want to connect to Tam Valley Depot or Team Digital equipment.